A scrap metal broker earns money by acquiring and selling metals such as brass, aluminum, steel, copper, iron and tin. All of these metals are easy to resell; the object of brokering is to buy low and sell high. A scrap metal broker can operate a in a couple of different ways. One can pick up scrap metal from individuals or businesses, then sell it for a profit to metal scrap processors. A scrap metal broker can also buy piles of scrap metal from metal processors and sell to metal mills for profit. Know what scrap metal is worth. Visit metalprices.com and view the current rates for aluminum, aluminum alloy, copper, nickel, lead, tin and zinc. Metals are commodities and can fluctuate daily. 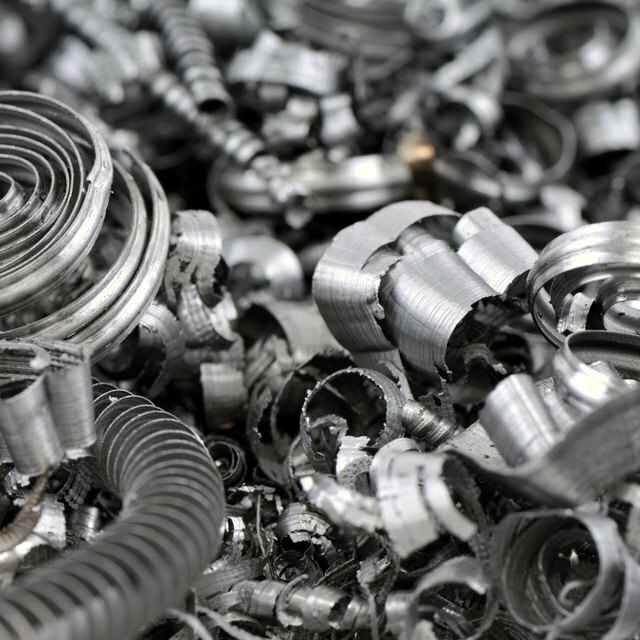 Know the value of metals before making calls to metal scrap processors and mills. Knowledge is the key to obtaining the best rate possible. Line up your buyers. Contact local and regional metal processors; ask for their going rates on scrap metal. Although contacting local metal scrap processors is ideal, traveling a short distance may be worth it if a processor's rates are higher. If brokering to large metal mills, contact them by phone and ask for their current buying rates. Line up your sources—call local businesses that may have excess scrap metal. Call all local machine shops, building contractors, plumbers, electricians and roofers. Ask these businesses if they have someone who removes their excess metals and offer your services. Since most businesses just want to get rid of their metal waste, offer to pick up and haul away the metals for free. If choosing to broker to large metal mills, make contacts by calling all the local metal-processing companies and ask the costs of their metals. Prepare for equipment needed. At a minimum, for small amounts of scrap metal you'll need a pickup truck. If brokering metals to the large mills, consider using the services of a trucking company. Separate the metals according to their specific type after pickup. The metals are worth more if separated. If reselling small metals, use boxes to separate them. For larger amounts of metal, consider sorting out the metal in piles in a yard. Metals from metal processing companies will already be separated. Market and advertise. Place a small classified ad in your local newspaper under the services section; mention you can haul away scrap metal for free. Place a classified online at craigslist.org—find your local area and post a classified for free. Prepare fliers and post on homes in local neighborhoods. Consider designing a flier that states you can haul away junk metal and junk cars—don’t overlook the fact that cars can be scrapped as well. As with all businesses, contact your local city, county and state for any business license or registration requirements.